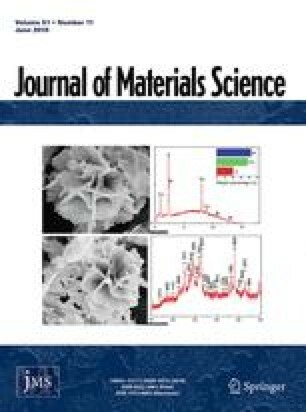 Single phase, hot-pressed Si3N4 ceramics with relative densities >95% and equiaxed grain structures have been prepared from high purity Si3N4 powders having specific surface areas of 8 to 20 m2 g−1 and oxygen contents ⩾2 wt % using a small amount of Be3N2 or BeSiN2 as a densification aid. Densification depended sensitively on the concentration of Be and O in a given Si3N4 powder and on the usual hot-pressing parameters of pressure, temperature and time. A close association was found between densification and the conversion ofα- toβ-Si3N4 during hot-pressing. Based on the data presented, chemical reactions that occur during hot-pressing involve: (1) reaction of the densification aid with SiO2 on the Si3N4 particle surfaces to form BeO and Si2N2O; (2) the further reaction of these two reaction products to give probable formation of a transient liquid phase (TLP); and (3) the reaction between TLP andα-Si3N4 particles to cause densification, probably by a solution-reprecipitation process, and conversion ofα-Si3N4 into aβ-Si3N4 solid solution. The chemical composition of a single phaseβ-Si3N4 solid solution prepared in this study by hot-pressing was approximately Si2.9Be0.1N3.8O0.2.